‘Two Shakespeare plays seeped in tragedy back-to-back? Are you mad?’ may very well be a valid question to ask but I have to say the way in which OthelloMacbeth* (HOME: 14-29 Sept 2018 || Lyric Hammersmith: 5 Oct‐3 Nov 2018) has created a fluid environment allowing one story to bleed seamlessly into the next, is something to be commended. Cleverly directed by Jude Christian, these two plays which largely focus on ambitious men with blood on their hands have been slightly rejigged to make it feel more like the world of today; the perspectives of the women in these stories have been beautifully amplified whilst the cast tasked with bringing Shakespeare’s characters to life brought a blend of diversity that I wholly hope to see more of. Out of the two plays I have to say this was my favourite in terms of both story and art direction. If you are not familiar with Othello here is a brief run down: it is a tragic tale of (fractured) love, ambition, betrayal and domestic violence in the lands of Venice and Cyprus. And in this production echoes of sexism, feminism and the fight for justice can be heard loud and clear. Stripped bare, the set guides viewers to focus mainly on the layered interactions of Desdemona (Kirsten Foster), Othello (Ery Nzaramba), Emilia (Melissa Johns), Iago (Samuel Collings), Bianca (Kezrena James), Cassio (Sandy Grierson), Lodovico (Grace Cookey-Gam) and Brabantio (Paul Courtenay Hyu). Distorted reflections of the cast dance across the metallic background which could symbolise what you see is definitely not the whole story - accuracy of reflections is dependant on both viewer and reflector. Now, I do not know about you but I struggle to decipher Shakespeare’s early modern English at the best of times; however, hearing the lines being delivered in a healthy mix of accents (e.g. African, American, English, Scottish and Welsh) was refreshing and fun. After a while, the language seemed normal to the ear and it became a lot easier to understand what was going on as the story unfolded. 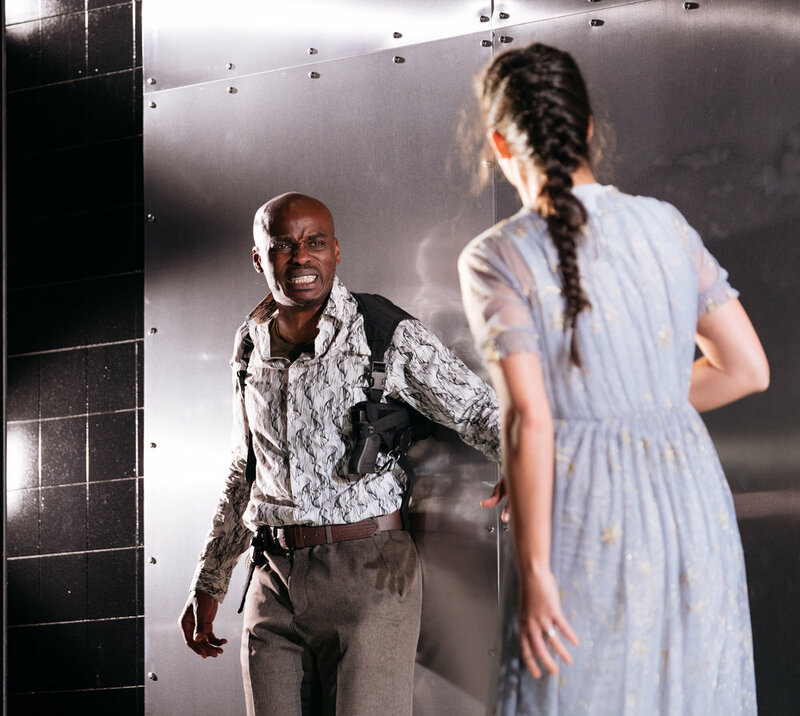 The pace for Othello did not leave room for your attention to wander with scene transitions being artfully done with the help of powerful and bewitching sound and light design by Nick Gill and Joshua Drualus Pharo respectively. That last scene change? Still gives me goose bumps! Oh Macbeth, how I struggle to love thee. I am not sure this play will ever be a favourite of mine but I will say this though: Jude Christian’s version of Shakespeare’s story of greed, yearning and addled perception (set in Scotland) did make me think how better off one really might be not knowing exactly what the future holds. It was also most interesting to unearth the links between the characters the cast play in Macbeth and those in Othello; the idea of reincarnation and the lengths fate will go at ensuring the karma owed is paid in full was quite fun to see play out. 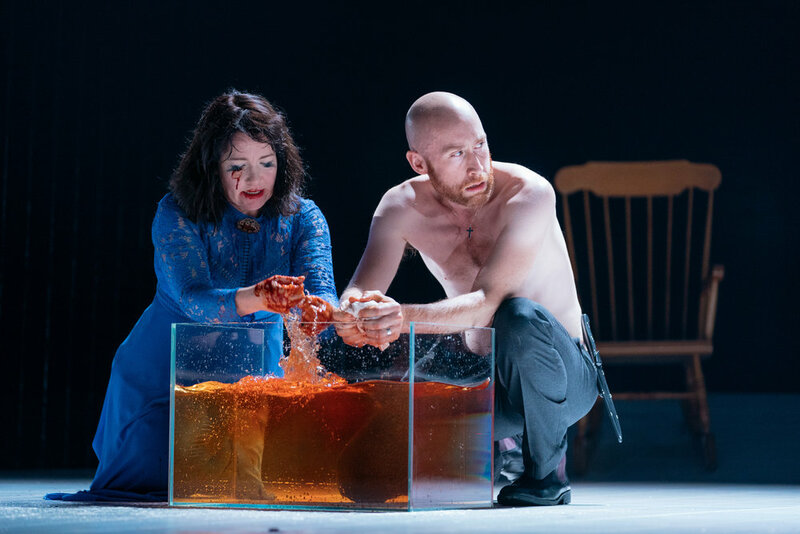 And without hurrying, the consequences of Macbeth’s (Sandy Grierson) flirtation with the supernatural and that of Lady Macbeth’s (Caroline Faber) blinded ambition, were unmistakably revealed as the body count climbed steadily higher. Although both plays are quite dark, they are no stranger to well-timed humour and witty banter as the cast so expertly demonstrate with their great, affecting performances. 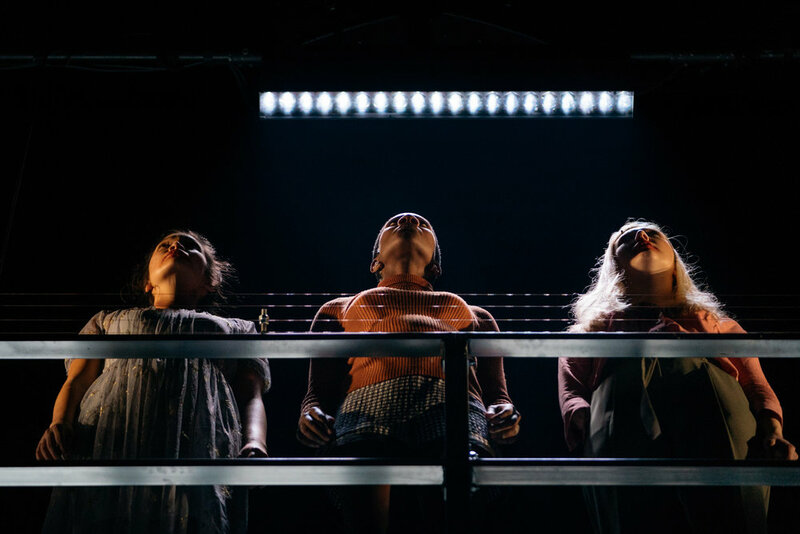 With a run time of just over 2 hours, OthelloMacbeth* will be showing at HOME until 29th Sept 2018 before it moves to Lyric Hammersmith next week (5 Oct‐3 Nov 2018). So, if this sounds like your jam see the trailer below and / or this interview with Jude Christian for more info.